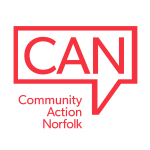 There are a wide range of directory initiatives aimed at providing information about the services and activities on offer to various groups and communities in Norfolk. Below is a list of directories we are aware of available online. If you are thinking of starting your own directory, stop, give us a call as it may be a better option to work with another provider. If you already have a directory that isn’t listed below feel free to email us and we’ll add it to the list. If you are trying to find a particular service or activity one of the following may be of help. https://www.norfolk.gov.uk/norfolk-directory The Norfolk Directory provides residents and families with information, advice, services and activities across Norfolk.